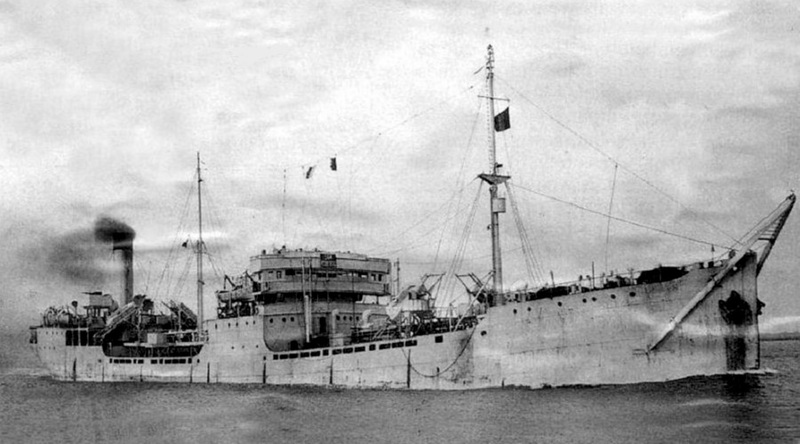 San Roberto was an Eagle Oil tanker in service from 1922 until she was broken up 1949. She had a working life of 27 years during which she participated in a huge number of WW2 convoys. Builders Armstrong, Whitworth & Co. Engines Triple expansion steam engine with cylinder bores 27", 45" and 75" and stroke 48". Engine builders Wallsend Slipway Co. Ltd. I not found any information about the service of San Roberto for the pre-war period. San Roberto took part in a very large number of WW2 convoys and independent voyages according to information shown in the table below which is provided courtesy of Convoyweb - see External Ref. #4. Certain units of the Eagle fleet were used for special wartime duties. For example the San Roberto was exclusively employed in carrying oil up and down the coast of England and Scotland, principally between Grangemouth and London. Byu December 1944 she had lifted over one million tons of cargo since war began. Her adventures were numerous in the course of navigating the East Coast route, known for its special hazards and ruefully nicknamed "E-boat Alley". 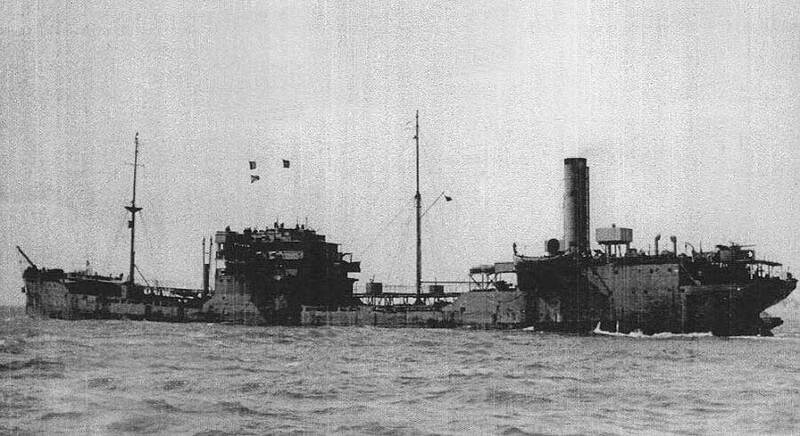 She twice suffered damage as a result of air attack, the most extraordinary occasion being in May 1941 when a bomb penetrated the mainmast, leaving the fins and assembly embedded in the mast, the bomb exploding in the air, without causing any casualties, though it was so close that the Chief Officer's clothing was actually set alight by the flash. Two other bombs struck the ship, while a near miss on the starboard side caused the fracturing of sea connections and the flooding of the engine room. Fortunately she was in ballast, as otherwise she would have foundered. 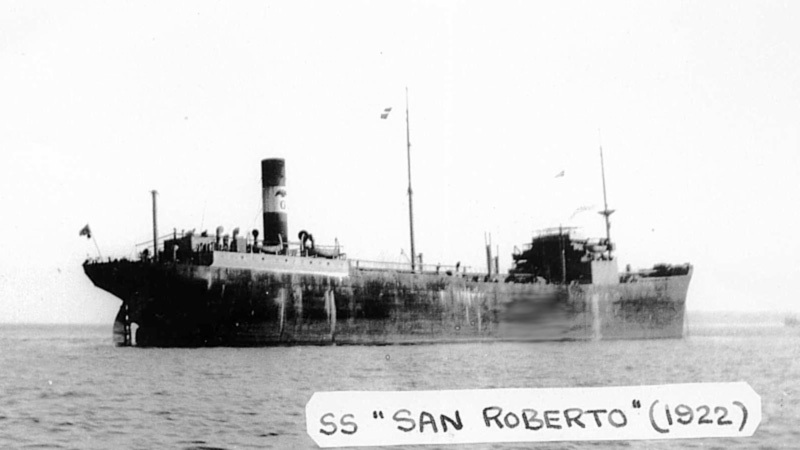 Two months later the San Roberto was bombed again and badly shaken by four near misses. A fifth bomb penetrated the Chief Engineer's cabin, but it went out through the foward bulkhead without exploding and came to rest on the wooden deck at the fore end of the poop. 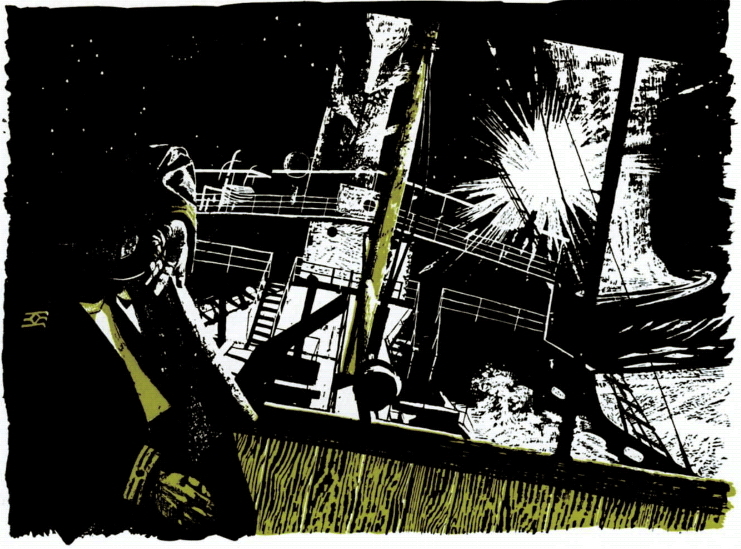 Throughout these hazardous war years the San Roberto was commanded by Captain Allison. 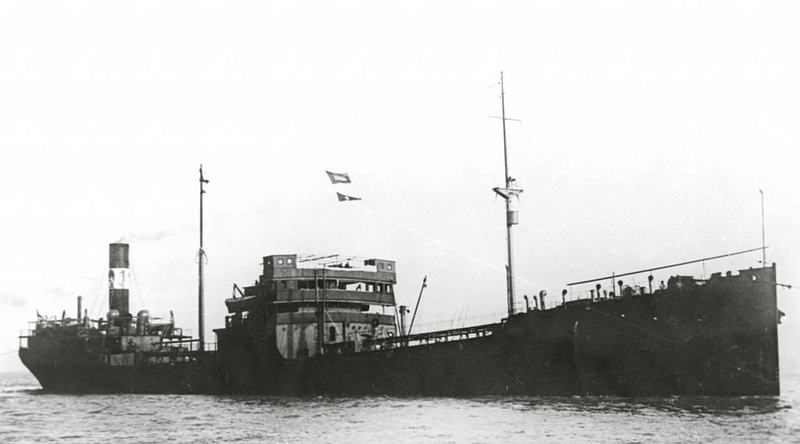 At the end of 1944 his ship was transferred to the Thames/Antwerp run, in order to supply that newly-opened base for the final assault on Germany. It was fitting that Captain Allison was now at last able to hit back with success at the Luftwaffe which had given his ship such unpleasantly close attention in 1941. On New Year's morning 1945 the German air force launched a major attack on the Belgian airfields and other objectives. The San Roberto was lying in the River Scheldt with a full cargo of high octane spirit right in the path of the German fighters returning from their attack on Antwerp. Five of them made straight for the ship but were driven off by a tremendous barrage from her Oerlikon guns, the last fighter, an ME109, receiving three direct hits. Smoke started to pour from the plane and the pilot only just managed to bale out before it crashed. According to External Reference #38, there was damage resulting from the incident on 10 May which took place at a position 22 Miles East by North from Spurn Point. As nothing is recorded for the 20 July incident it is assumed that this did not cause any serious damage to the ship. On 1 January 1945, Stan Mayes was serving on Empire Unity when the German Luftwaffe launched a major attack on the Scheldt and Belgian airfields. In describing the scene he said "San Roberto was at anchor below Antwerp and we were just passing her when she was attacked by a ME109 and a bomb from her struck the foremast and exploded. A tremendous barrage from the Oerlikon guns on San Roberto hit the attacker and I witnessed her destruction as she crashed into the river bank". By the end of the war, San Roberto was showing her age - which given her service history is hardly surprising. One photo I have had the caption "The largest and bleakest bridge on the coast". Stan Mayes served on San Roberto from 18 September 1948 until 15 November 1949 when she was delivered to the breakers. Accounts of his many voyages with photos can be found in the Benjidog Recollections website HERE. By courtesy of Stan Mayes and digitally enhanced by the site owner.